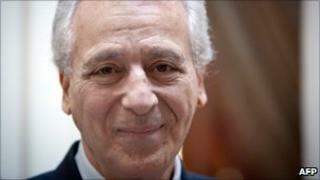 The founder of the controversial Dukan Diet, Dr Pierre Dukan, faces an ethics hearing after suggesting children could pass a new exam by staying thin. The French College of Physicians says he breached medical guidelines that say doctors must consider the impact of their comments on the public. He faces a disciplinary hearing within six months, and could be struck off. His diet, said to be followed by some celebrities, recommends avoiding starch and carbohydrates. Some nutritionists say it can be dangerous. In January, Dr Dukan sparked controversy in France when he said the Baccalaureate exam should include a new anti-obesity option, which 17-year-old children would pass just by staying within recommended weight guidelines. The College of Physicians said this could have a negative impact on young girls who are already overweight or anorexic. The College said in a second complaint that Dr Dukan was focused more on commerce than medicine, in breach of a part of its code that says medicine must not be practised like a business. And the body also said his best-selling diet books meant he was neglecting medicine. If he is found guilty at his ethics hearing, the punishments he could face range from a reprimand to being struck off the medical register. Dieting is a major issue in France which like many European countries has seen an increase in obesity. In 2009 the ministry of health said one in six people was obese. Dr Dukan has sold more than seven million copies of his dieting books. In July last year, Dr Dukan lost a libel case against a fellow nutritionist who described the Dukan diet as dangerous. Dr Jean-Michel Cohen said the protein-rich diet could cause heart disease and breast cancer.